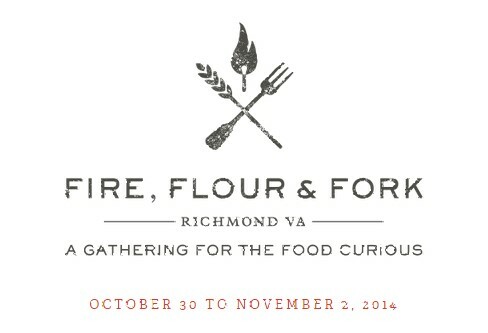 Ever since Fire, Flour, & Fork was announced, I have been struggling to choose a schedule from the culinary and cultural tracks. With so many great choices, the task of narrowing down each time slot to a single talk became very overwhelming. If you look at my printout of the schedule, there are several check marks all over the place. As much as I love our local dining talent, I will look for speakers coming from out of town. The topic needs to be of personal interest to me, in that maybe I could learn techniques to put into practice in my own kitchen. No beer. Yep, I said it. Yes, I could listen to our local breweries talk about beer all day long and sometimes I do. Now on to Saturday, November 1st. Flavor Flours — Flour is essential to baking but what happens when the flour is not your typical wheat base? Maybe Alice Medrich can educate this amateur baker. Fork Over The Hanover Tomato — If you love tomatoes, surely you’ve heard of the Hanover tomato. The Tao of Bark — Texas barbecue in Virginia?! Sign me up! DamGoodSweets — I hear they’re…well, I think you can see where I’m going. Fork In The Road — I love mushrooms and would love to some day try and grow them myself. Until then, I’ll just eat Dave and Dee Scherr’s mushrooms. Apple Stack Cake — I bet you were thinking apples only went in pies. Travis Milton will teach you about different heirloom apple varieties and how he uses them. Smoked and Charred Cocktails — T Leggett’s cocktails. Nuff said. Burning Desire — I will have my chocolate! If you’re lucky, I’ll save you some Gearhart’s. Maybe. On a Roll — I first had Drew Thomasson’s baking at D’lish in Chester, VA. To say I miss having that lunch option is an understatement. I’m happy to see Drew put his bread stamp on Richmond. The Three Sisters — Someone put a beer in my pumpkin. Someone put pumpkin in my beer! It’s the fall how could you not indulge. There you have it; that’s one possible plan for navigating Fire, Flour & Fork. Use my plan or make your own rules and pick out a schedule. Tickets are $70 for one-day Friday or Saturday tracks or $130 for both Friday and Saturday tracks. Get your tickets here.